The following is a list of scholarships available to Union County College students from private, institutional, Union County and State of New Jersey sources. Recipients must be full or part-time Union County College students who are enrolled as science or engineering majors. Preference will be given to students enrolled in or having taken Astronomy 101 or 102, or equivalent classes in the related sciences of physics, mathematics, chemistry or geology. Recipients must have completed 24 credits with a minimum GPA of 3.0. Scholarships will be awarded based on academic achievement and financial need. Must submit application for Financial Aid, but need not be eligible for financial aid. Awarded to students who are active tutors in one of the Union County College Academic Learning Centers. Scholarships will be awarded to full-time students who have a minimum 3.0 GPA and demonstrate financial need. Awarded to full- or part-time students with a minimum 3.0 GPA and 24 credits completed at the time of application. Three awards will be made – one in each of three disciplines. Required majors vary year to year. Awarded to students majoring in Psychology, who have a minimum 3.2 GPA at the time of application and who have completed at least 12 credits. The scholarship will be offered to those students who demonstrate financial need. Awarded to a full- or part-time student who is currently serving as an ALC tutor, working more than 10 hours/week. Student must have a minimum 3.0 GPA. Preference will be given to a student who demonstrates financial need. Awarded to a part-time student with a minimum 2.0 GPA who has demonstrated a commitment to Union County College. Preference will be given to a student in financial need. Awarded to a full-time student with a minimum 3.0 GPA, who has completed a minimum of 40 credits at the time of application. Scholarship will be awarded to a Union County resident who demonstrates financial need. Recipient must pledge their intention to graduate from Union County College. Awarded to a full or part-time student who has completed at least 18 credits with a minimum GPA of 2.5. Recipient must have involvement in community activities and demonstrate financial need. Awarded to incoming full-time students who are enrolled in the new American Honors program for Fall 2018. Preference will be given to students who demonstrate financial need. Awarded to a full or part-time student enrolled in the ESL Program who has completed a minimum of 6 credit hours and demonstrates financial need. Two scholarships awarded annually. The first must be of Armenian descent with priority given to financial need and academic achievement. This recipient must have a minimum cumulative GPA of 2.8 and must have completed at least 15 credits. In the event there are several qualifying candidates (of Armenian descent), priority will be given to the student with the highest grade point average and financial need. If there are no qualifying students of Armenian descent, then priority will be given to students from countries formed after the dissolution of the U.S.S.R. (for example, Ukraine, Belarus). If no qualifying student can be found, then the scholarship may be awarded to a student from any European country. Second award to student with a minimum 3.0 GPA, who has completed at least 15 credits, and has financial need. Awarded to a full-time student over the age of 25 who has completed a minimum of 24 credits with a 2.5 GPA and has applied for financial aid. Awarded to a student in ASL or Deaf Studies Certificate or Interpreters for Deaf Degree Program who has completed 12 credits (Certificate Program) or 30 credits (Degree Program) with a minimum 3.5 GPA. Recipient must have declared interpreting as a career track, demonstrate financial need, and be a U.S. citizen. Awarded to a student in the Allied Health Program, with priority given to a Physical Therapy student. Awarded to a full-time student who has completed 30 credits towards an Associate Degree Program. Recipient must be a resident of Union County or adjacent counties (Essex, Middlesex, Morris and Somerset). Awarded to a full or part-time student pursuing a degree in Business Administration or Business Management. Recipient must have a “B- average” (2.7 GPA) and be a Union County resident. Scholarship will be awarded on the basis of financial need. Awarded to a full or part-time student in his/her sophomore year from a Union County city (Elizabeth, Plainfield, Rahway, Linden, Roselle). Recipient must be a Humanities major in the Liberal Arts Program and demonstrate financial need. Recipient must have a minimum 3.0 or better cumulative GPA at the time of application for the scholarship. Awarded to full or part-time students who are residents of Union County and who plan to transfer to a four-year institution upon graduation. Preference will be given to residents of Summit, NJ. Recipients must have a minimum 3.0 cumulative GPA at the time of application and have completed a minimum of 12 credits. Preference will be given to a student in financial need. Awarded to a full or part-time student pursuing an A.A. or A.S. Degree in Biology, Chemistry, Engineering, Environmental Science, Physical Science or Languages. Recipient must have a 3.0 or better average and have completed 12 credits. Preference will be given to a student who is a single parent working full or part-time. Preference will be given to a student in financial need. Awarded to the applicant with the highest cumulative GPA (minimum 3.0) after having completed a minimum of 20 credits. Awarded to a full-time student enrolled in a law enforcement, teaching or nursing program. Recipient must have a “B average” (or 3.0 GPA) and must have completed 12 credits. Scholarship will be awarded on the basis of financial need. Awarded to a full-time student who has completed at least 12 credits and has earned a minimum cumulative GPA of 3.0. Scholarship will be awarded on the basis of financial need. Awarded to a full-time student with preference given to a student athlete. Recipient must demonstrate financial need, have completed at least 12 credits, and have earned a minimum cumulative GPA of 3.0. Awarded to a full or part-time student who has an overall GPA of 2.5 or higher having completed 12 or more credits. Recipient must submit Financial Aid application and be eligible for financial aid. Awarded to a full-time student who is taking a min. of 15 credits per semester. The student must demonstrate financial need, but be ineligible for federal need-based aid. Awarded to a student who has completed 12 credits with a minimum GPA of 2.5. Recipient must be a U.S. citizen and demonstrate financial need. Priority will be given to applicants who are Hillside or Scotch Plains residents, or are Hillside or Scotch Plains H.S. graduates. Awarded to first-time incoming students who are first in their family to attend college. Students must be full- time and Union County residents. Students must demonstrate financial need. Awarded to a full or part-time student who has passed Institute for Intensive English courses and is enrolled in credit courses. Scholarship will be awarded on the basis of financial need. Awarded to a current or transfer full time, matriculated student. A minimum 3.0 GPA is required to renew scholarship. Awarded to a new or continuing full or part-time student in the Paramedic Program, including those working towards an Associate’s degree in the Paramedic Program. Preference will be given to a student with financial need. Awarded to an entering Plainfield High School graduate who is a full-time, matriculated student majoring in Elementary or Secondary Education. Recipient must maintain a 2.75 GPA to continue receiving this scholarship. The scholarship will be awarded on the basis of financial need. Awarded to a current full time, matriculated student in Liberal Arts (Early Childhood Elementary Education Option Pre K-3) or Liberal Arts (Education Option Grades 4-12). The student must have a minimum 2.75 GPA and demonstrate financial need and a commitment to Union County College. Awarded to a full-time male student, born in the USA, 25 years of age or younger, who has completed a minimum of 24 credits with a minimum 3.0 cumulative GPA at time of application. Recipient must be majoring in engineering and planning to pursue a bachelor’s degree after graduating from UCC. Awarded to a full or part-time student in the LPN curriculum, with a minimum “C average” (or 2.0 GPA) overall, but a “B average” (or 3.0 GPA) in the “core” curriculum. Recipient must have worked in the home health care field (2 years recommended), have demonstrated compassion and love for his/her work, and not have the means to pursue further certification in nursing such as an LPN degree. Letter of recommendation or references from patient families, supervisor or colleagues is required for consideration. Letter or statement from candidate about his/her career goals and how he/she would work to ensure quality care also is required. The scholarship will be awarded on the basis of financial need. Awarded to a student who is an active member of the Business Association of Union County College. Student must have an overall GPA of 3.0 or higher having completed 12 or more credits. Awarded to a student majoring in either Business or Liberal Arts with an Education option. Priority will be given to a full-time student. Recipient must have a minimum 3.0 cumulative GPA and have completed at least 24 credits. Recipient must have active participation in Union County College and/or community programs. This scholarship will be awarded on the basis of academic achievement, College or community participation, and financial need. Awarded to a full-time student who is in one of the Science or Nursing majors, has completed 24 credits, and has a 3.0 GPA at the time of application. Scholarship will be awarded on the basis of financial need. Recipient must be active in their community and/or Union County College programs. Awarded to students who participate in the Supply Chain Management, Logistics or Truck Driving Programs at Union County College. Priority will be given to those students who demonstrate financial need. Awarded to a new or continuing full-time student working towards an Associate in Science Degree in Nursing, with a 3.0 (B) or better average. The scholarship will be awarded on the basis of financial need. Awarded to a student of Italian-American descent who has completed a minimum of 24 credits with a 3.0 GPA. The scholarship will be awarded on the basis of financial need. Awarded to first-time, full-time students with a minimum 2.5 GPA, and in a matriculated major. Recipients must demonstrate financial need. Awarded to members of a first-time, full-time Fall student cohort. Recipients must be entering the final year of their degree program and be on course to graduate on time. Recipients must have a minimum 2.5 GPA, and demonstrate financial need. Awarded to part-time students with a minimum 2.5 GPA, and in a matriculated major. Recipients must demonstrate financial need. Awarded to a full or part-time student. Recipient must have a 3.0 cumulative GPA or above. Recipient must be a member of Christ Fellowship Church in Elizabeth, NJ, as verified in writing by the Senior Pastor of the Church. If more than one candidate qualifies in a given year, then the award will be given to the candidate with the most financial need as the second criteria. If a third tier of criteria is needed, then it will be by the higher GPA. Awarded to a full or part-time student who demonstrates financial need. Awarded to a full-time student coming immediately out of high school with a “B+ average” (or 3.5 GPA). The scholarship will be awarded on the basis of academic achievement and financial need. Awarded to a full-time student with a minimum 2.8 GPA. Recipient must be a Union County resident. Financial need is preferred, but not mandatory. Awarded to a first-time, full-time student with a minimum 2.8 GPA. Recipient must be a Union County resident, entering the final year of their degree program and be on course to graduate on time. Financial need is preferred, but not mandatory. Awarded to full- or part-time students with a 3.0 GPA who demonstrate financial need. Recipients must show promise and desire to succeed in school and must be Union County residents. Awarded to a full-time student. The scholarship will be awarded on the basis of financial need. Awarded to a student enrolled in a program at the Plainfield Campus who demonstrates financial need. Recipient must be a Psychology or Social Services major, with a min. 3.0 GPA, as well as a transcript with no Ds, Fs or Withdrawal in any semester. Recipient must be enrolled as a full-time student at time of award, and have completed a min. of 24 credits. Award will be made based on financial need. Must submit application for financial aid to Financial Aid office and be eligible for financial aid. Essay required (on scholarship application) describing academic experience at UCC and future academic and professional goals. Awarded to a full-time student who has completed 12 credits with a 3.0 GPA, and is a resident of Union County. Preference will be given to students in the Paralegal Studies Program; if no appropriate student is eligible, then the scholarship will be awarded on the basis of financial need. Awarded to a full- or part-time student. Recipient must be a firefighter or a family member of someone in the Fire Service, paid or volunteer. Preference will be given to a resident of Cranford, NJ. If no eligible Cranford resident is available, then the scholarship will be opened to Union County residents meeting the other criteria. 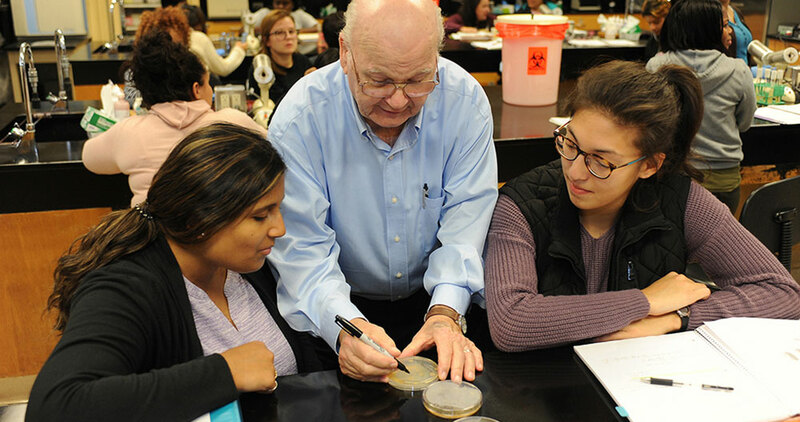 Scholarships will be awarded to full-time students who are residents of Cranford, NJ. Preference will be given to students who demonstrate financial need. Joan David-Chance Scholarship – Award is available to part-time students who are majoring in any medical field curriculum, including, but not limited to Nursing, Dental, Allied Health, Paramedic or Physical Therapy. Scholarship will be awarded to a student who demonstrates financial need. Awarded to a full or part-time student with a minimum 2.5 cumulative GPA at the time of application. The scholarship will be awarded on the basis of financial need. Awarded to students entering the Liberal Arts Program. To be eligible, students must have membership in Phi Theta Kappa Honor Society. Preference given to students residing in Union County. Students must first apply for and accept financial aid prior to receiving scholarship. Continuing recipient(s) must maintain a minimum cumulative GPA of 3.2. Awarded to full- or part-time students who are naturalized US citizens, permanent legal residents, DACA or undocumented immigrants pursuing higher education at Union County College, with a preference given to undocumented immigrants. Recipient must have completed 12 credits and have earned a minimum 3.0 GPA. Preference will be given to a students who demonstrate financial need. A student may receive this particular scholarship only once. The scholarship will be awarded to students in one of the following majors: Fine Arts, Communications or English. Recipients must have completed a minimum of 30 credits and earned an overall GPA of 3.0. Awarded to a female Business major who is in the top quarter of her high school class or has maintained a B average the last two years in high school. Must maintain a 3.0 GPA while at Union County College and plan to pursue a bachelor’s degree after graduating from Union County College. Recipient must be a United States citizen and no more than 21 years of age. Awarded to a full or part-time student who is a Linden resident. Recipient must have successfully completed all developmental/remedial requirements, and must be in good academic standing with a minimum 2.0 GPA at the time of application. Recipient must have the designation as one of the following from a U.S. Military Branch: Discharged Veteran / Military Reservist / Active Duty. Awarded to full- or part-time students majoring in one of the Allied Health or Nursing programs. The students must demonstrate financial need. Awarded to full-time students who are enrolled in one of the STEM disciplines (Science, Technology, Engineering, Math). Recipients must be Union County residents and have a 2.5 GPA to receive award. Awarded to a full or part-time student, taking at least 6 credits and matriculated in one of the programs offered by the Engineering/Engineering Technology/Architecture Department at UCC. Recipient may receive this scholarship support for more than one year. Recipient must have a minimum 2.5 cumulative GPA at the time of application for the scholarship and have completed a minimum of 12 college-level credits at Union County College. Applicant must also submit a 300 word essay on the personal impact some aspect of engineering, engineering technology or architecture (e.g., a practitioner, historical development, economic impact, environmental influence, edifice), past or present, has had on their choice of major. The scholarship will be awarded on the basis of academic achievement, financial need and evaluation of the essay by a committee determined by the E/T/A Department. Awarded to a matriculated student who has completed 24 credits with a minimum GPA of 3.2. The scholarship will be awarded on the basis of financial need. Awarded to a full-time matriculated student majoring in Business or a Business option. The recipient must have an overall cumulative GPA of 3.0 or higher. Scholarship will be awarded based on financial need. Awarded to a full-time student majoring in the sciences, with preference for obtaining an Engineering degree. Recipient must have a minimum 3.0 cumulative GPA at the time of application for the scholarship and have completed a minimum of 12 credits. The scholarship will be awarded on the basis of financial need. Awarded to a full-time, Educational Opportunity Fund Program (EOF) student who is a member of Chi Alpha Epsilon National Honor Society and who has completed a minimum of 12 credits, with a minimum cumulative GPA of 3.0. The scholarship will be awarded on the basis of financial need. Student must submit application for financial aid. Preference will be given to a student who intends to complete an Associate’s degree at UCC and transfer to a 4-year institution. Awarded to a full- or part-time student in the Engineering/Technology/Architecture Department, with preference given to those students in one of the Engineering Technology programs. Recipient must have a B- GPA. Preference will be given to those students who demonstrate financial need. Awarded to a Union County College ESL student who has not failed the previous ESL course. Recipient must demonstrate financial need. Awarded to a full or part-time student in the I.I.E. Program who is doing well. Awarded to a matriculated full or part-time student and a resident of Union County who has successfully completed at least one English-as-a-Second-Language class and a minimum of 12 credits with a “C+ average” (or 2.5 GPA). Recipient must be of immigrant background and demonstrate financial need. Awarded to a matriculated full or part-time student and a resident of Union County who has successfully completed level 6 in English-as-a-Second-Language class and a minimum of 12 credits with a “C+ average” (or 2.5 GPA). The recipient must be of immigrant background and be planning to become a teacher. Awarded to a full- or part-time female student on the basis of financial need. Student must submit an application and be deemed eligible for financial aid. Awarded to a full- or part-time female first-year student who is first in their family to attend college. Awarded to a full time second year student who is majoring in a mathematics related field and demonstrates financial need. Awarded to a full or part-time student who is a resident of Union County. Preference will be given to a student in financial need. Awarded to a full or part-time student who has successfully completed a minimum of 24 credits with a minimum GPA of 3.0 and who intends to complete an associate’s degree. Preference shall be given to a Union Township resident. Preference will be given to a student in financial need. There shall be only one scholarship recipient annually. The purpose of this scholarship is to prevent and deter student need for loans. Students may be full or part-time, must have and maintain a 2.0 or higher GPA, and must have applied for financial aid and found to be either ineligible or only partially eligible for grants-in-aid. Awarded to a full time student with a minimum GPA of 2.5. Recipient must demonstrate financial need. Awarded to an adult female Union County College student (age 30+). Awarded to first-time, full-time students entering the final semester of their degree program, who are on course to graduate. Glasser Foundation First in the Family Scholarship – Awarded to first-time incoming students who are the first in their family to attend college. Students must have graduated high school with a minimum 2.5 GPA, and must demonstrate financial need. Awarded to a student of Polish descent and/or from Poland, enrolled in either the Institute for Intensive English or regular course offerings with a minimum GPA of 3.0. Recipient must demonstrate financial need. Preference will be given to a student with interest in foreign language as a field of study. Awarded to a matriculated student in the Nursing program who has completed a minimum of 12 credits with a 2.5 GPA and demonstrates financial need. Awarded to a full or part-time student majoring in English, Fine Arts, or Liberal Arts. Scholarship will be awarded to a female student, age 25+, who has a 3.0 GPA at the time of application. Awarded to one first-time/full-time African American male student and one first-time/full time African American female student. Recipients must have minimum 2.5 GPA and have completed minimum 30 credits and be on track to graduate on time. Preference will be given to those who demonstrate financial need. Awarded to a full or part-time EOF student who plans to transfer to a four-year college. Recipient must have earned at least 12 credits and have a GPA of at least a “B- average” (or 2.7 GPA). The scholarship will be awarded based on financial need. Awarded to a full-time Business major, with emphasis on Marketing or Management, who has completed a minimum of 30 credits with at least a “B average” (or 3.0 GPA). The scholarship will be awarded to a student who demonstrates financial need. Professor Casey Grygotis Scholarship – Awarded to a full- or part-time student with a minimum GPA of 2.75 at the time of application. Recipient must be part of an Engineering-related curriculum or program and expect to earn an Associate’s degree in an Engineering-related field. Awarded to a full or part-time student majoring in engineering or science with a minimum “C+ average” (or 2.5 GPA). It is preferred that at least one recipient each year is a Linden resident. Awarded to a full or part-time student. The scholarship will be awarded on the basis of financial need. Awarded to a full or part-time student pursuing a professional level career in the medical field. The scholarship will be awarded on the basis of financial need. Awarded to a Cranford resident who demonstrates good academic scholarship and financial need. Awarded to a full time student with a minimum 2.0 GPA who demonstrates financial need. Awarded to a full or part-time Liberal Arts major who has completed a minimum of 9 credit hours with a 3.0 GPA in English courses. Recipient must plan to pursue a bachelor’s degree and demonstrate active involvement in community activities. Recipient must be a resident of Union County. Preference will be given to a student in financial need. Awarded to a female student studying Cybersecurity who has completed at least 15 credits and earned a minimum overall GPA of 3.5. Recipient must be enrolled in a min. of 9 credit hours, with preference given to a full-time student. Preference will be given to a student who demonstrates financial need. Awarded to a full-time student enrolled in the Computer Science field who has completed a minimum of 15 credits with a 2.5 GPA and demonstrates financial need. Awarded to full-time students enrolled in the American Honors Program at Union County College, and who plan to continue at a four-year institution upon graduation. Recipients must have completed a minimum of 30 credits. Preference will be given to those students who demonstrate financial need and who intend to permanently reside in the U.S. after completing their studies. Awarded to a full time student who has completed at least 24 credits and is majoring in Engineering. Awarded to students with an overall cumulative GPA of 3.0 or higher. Recipients must be taking one of the following courses: Chemistry 111, 113, or 211 and have a 3.0 or better grade in the course – to be selected for this scholarship. In order to receive this scholarship, recipients must enroll in one of the following courses: Chemistry 112, 114, or 212. Awarded to a full- or part-time student who has the designation as one of the following from a U.S. Military Branch: Discharged Veteran, Military Reservist, Active Duty. Preference will be given to male students and to those students majoring in one of the STEM disciplines. Awarded to a full or part-time student who has completed at least 15 credits with a minimum 3.0 cumulative GPA who demonstrates financial need. Awarded to a full or part-time female student, majoring in Business and is a Union County resident. Preference will be given to a student in financial need. Awarded to a full-time student who is a Criminal Justice major. Student must have a minimum 2.75 GPA (B- average). Preference will be given to a student who demonstrates financial need. Awarded to full-time students enrolled in the American Honors Program at Union County College. Recipients must have completed a minimum of 30 credits, but not more than 60 credits, and are on track to graduate. Recipients must be Union County residents who demonstrate financial need. Awarded to a full or part-time student of Hispanic decent, under the age of 25. Recipient must be enrolled as a Criminal Justice major or have taken one or more Criminal Justice related courses with a minimum 3.0 cumulative GPA at the time of application for the scholarship. The scholarship will be awarded on the basis of academic achievement and financial need. Preference will be given to students who reside in Union County. Awarded to a full or part-time nursing student with a cumulative GPA of 2.5 or better who has completed 24 credits. The scholarship will be awarded on the basis of financial need. Awarded to a part-time student who has a minimum 3.0 GPA and is enrolled as an English major or in a Creative Writing program. Awarded to a student who demonstrates financial need. Awarded to a full or part-time student who has a “B” (3.0) or “B-“ (2.7) average, has completed at least 12 credits and is a resident of Union County. Recipient must be someone who was a serious high school student with a history of volunteer activities, or who has held a job while attending school. The scholarship will be awarded on the basis of financial need. Awarded to a full-time student working toward an Associate degree in Chemistry or Engineering, who plans to transfer to a four-year institution. Recipient must have completed a minimum of 24 credits with a 3.0 GPA. Scholarship will be awarded to a student who demonstrates financial need. Awarded to a student who has successfully completed 12 hours of English as a Second Language (ESL) and demonstrates financial need. Awarded to first-time incoming students who are first in their families to attend college. Recipients must have graduated high school with a minimum 2.5 GPA. Preference will be given to students who demonstrate financial need. Awarded to a full-time student who has completed a minimum of 30 credits, but not more than 60 credits. Recipient must have a minimum 2.5 GPA at the time of award. Scholarship will be awarded to a student who demonstrates financial need. Awarded to a part-time student majoring in Biology, Nursing or Allied Health, and have an “A average” (or 4.0 GPA). The scholarship will be awarded on the basis of financial need. Awarded to a full or part-time female student who is a single mother and a resident of Union County. The scholarship will be awarded on the basis of financial need. Awarded to a full-time student who is a graduate of Elizabeth High School or is currently living in Elizabeth and demonstrates financial need. Awarded to a full-time EOF student who has completed a minimum of 12 credits with a minimum cumulative GPA of 3.0. This scholarship is awarded based upon financial need and academic achievement. Awarded to a full time second year student who is pursuing an Associate in Arts degree in Liberal Arts with a Fine Arts Option in Graphic Arts, Illustration or Visual Arts with a minimum 3.0 GPA. Awarded to full- or part-time students who are active tutors in one of the UCC Academic Learning Centers, and who demonstrate financial need. Awarded to a nursing, Emergency Medical Technology or Paramedic student with the highest grade point average. Must have completed a minimum of 24 credits and applied for financial aid. Awarded to a full or part-time female student returning to school following hardship or child rearing. The scholarship will be awarded on the basis of financial need. Awarded to a student who is a graduate of Abraham Clark High School in Roselle, NJ. The recipient must demonstrate academic promise and financial need. Awarded to a full or part-time student majoring in Biology, enrolled in a professional nursing program, or a program leading to licensure as an R.N. Recipient must have a minimum cumulative GPA of 3.0, and must have completed 24 credits. Student recipient must be a single parent. Awarded on a competitive basis each semester to students who have completed NURE 132 or NURE 250 and who have a cumulative GPA of 3.25 or higher. Scholarships will be awarded on GPA in rank order with available funds. The award is based on the nursing course being taken and number of nursing credits (Nure 232, Nure 231, Nure 260/270/280/290 – and Nure 291). Students must complete and file a FAFSA and a UCC Scholarship application with the UCC Financial Aid Office. Students who are repeating a nursing course are not eligible for consideration. Awarded to a full or part-time student residing in Union County. Preference will be given to an older student (30+) who is working and going to school. Recipient must have a “B average” (or 3.0 GPA) and must have completed 12 credits. The scholarship will be awarded on the basis of financial need. Awarded to a student who is an Elizabeth resident and demonstrates financial need and a commitment to the College or Elizabeth community. Good citizenship must be demonstrated by volunteer, charitable or public service. Recipient must have a minimum 2.0 GPA. Awarded to a full or part-time matriculated student, preferably of Polish descent, in a Liberal Arts or Business Program. Recipient must have a “B average” (or 3.0 GPA) and must have completed a minimum of 12 credits. The scholarship will be awarded on the basis of financial need. Awarded to an entering or continuing full or part-time student majoring in a Business or Engineering curriculum. Recipient must be a resident of Union County. Preference will be given to a student in financial need. Awarded to full-time students who are in a matriculated major and have a minimum GPA of 2.5. Students must demonstrate financial need. Awarded to part-time students who are in a matriculated major and have a minimum GPA of 2.5. Students must demonstrate financial need. Awarded to students who are members of a first-time, full-time, Fall student cohort. Recipients must be entering the final year of their degree program and be on course to graduate on time. Recipients must have a minimum 2.5 GPA and demonstrate financial need. Awarded to a full-time student who is majoring in Business. Recipient must have completed at least 12 credits with a minimum GPA of 3.0. Preference will be given to students residing in Clark. Awarded to a full-time student who has completed 12 credits with a minimum GPA of 3.0 and who is majoring in an Allied Health Profession or Biology. Recipient must demonstrate financial need. Awarded to a full-or part-time student majoring in Education, who has completed 12 credits and has a minimum 3.0 GPA. Preference will be given to students who demonstrate financial need. Awarded to part-time students who are enrolled for two or three courses per semester. Students must have completed a minimum of 12 credits and maintain a 3.0 GPA (B average). Preference will be given to students who are parents. Awarded to a full or part-time student with a minimum 3.0 GPA, who is in a Social Services program. Recipient must be a resident of New Jersey, preferably Union County. The Scholarship is awarded based on financial need. Awarded to a full-time student who demonstrates financial need. Awarded to a full or part-time student having completed 12 credits. Recipient must demonstrate active involvement in community activities (for example, a religious or social organization). Recipient must have a minimum 3.0 cumulative GPA. Preference will be given to a Plainfield resident and preference will be given to a student in financial need. Awarded to full-time students who have completed a minimum of 30 credits, but not more than 60 credits. Recipients must have a minimum 2.5 GPA at the time of award. Scholarships will be awarded to those students who demonstrate financial need. Recipients must be members of a first-time, full-time, Fall student cohort. Recipients must be entering the final year of their degree program and be on course to graduate on time. Awarded to a full-time student with a cumulative GPA of 3.0 and a minimum of 24 completed credits. Financial need and academic achievement are considered in awarding this scholarship. Awarded to a full or part-time student in the Biology or Chemistry Program, with a GPA of 3.0 or better and has completed 12 credits or more (excluding non-credit bearing courses). Students with financial need are preferred, but not required. If there are no qualifying students, then the scholarship will be awarded to a full or part-time student in any program with a GPA of 3.8 or better and has completed 30 credits or more. This student need show no evidence of financial need. Awarded to a full- or part-time student who is a Linden resident and demonstrates financial need. Recipient must have a minimum overall GPA of 2.5 to receive this award. Awarded to a full-time student in any degree program. Recipient should be high-achieving and currently in the American Honors program or PTK member at Union County College. Preference given to those who demonstrate financial need. Awarded to a full-time, female student who has a minimum 2.5 GPA at the time of application. Scholarship will be awarded to students enrolled in one of the STEM disciplines (Science, Technology, Engineering, Math), and will be awarded on the basis of financial need. Awarded to a second-year student who is majoring in Engineering. Recipient must demonstrate financial need. Awarded to a full- or part-time student with a minimum 3.0 GPA. Preference will be given to those students who demonstrate financial need and who are majoring in Business Management. Awarded to a full or part-time student who has completed a minimum of 12 credits with a “C+ average” (or 2.5 GPA) at the time of application. Recipient must demonstrate financial need. Awarded to a full or part-time female student over the age of 25. Recipient must have a “B average” (or 3.0 GPA) at the time of application and have completed a minimum of 12 credits. Awarded to a full-time student who has completed a minimum of 12 credits with a 3.0 GPA in History/Government and demonstrates financial need. Awarded to a student who is majoring in Business or Communications and who has completed 24 credits with a minimum GPA of 2.5. Recipient must demonstrate financial need. Awarded to a student who has a minimum 2.5 GPA at the time of application. The student will be awarded on the basis of academic achievement and financial need. A prospective recipient must submit an application for financial aid to the Financial Aid office and be eligible for financial aid. Awarded to full or part-time students with a minimum 2.5 GPA. Preference will be given to women pursuing studies or a career in the fields of mathematics or science (including medical technology, excluding nursing). Preference will be given to Union County residents. Awarded to a student who has a minimum “C+” (2.5 GPA) average. Preference will be given to a Summit high school graduate or student who is a resident of Summit, NJ. Preference will be given to students who demonstrate financial need and those with a history of community and/or school service. Awarded to a full-time student who is enrolled in one of the History, Government or Psychology degree programs. Student must have a minimum 3.5 GPA. Preference will be given to a student who demonstrates financial need. Awarded to a full-time student whose major area of study is devoted to the protection of our environment, including Engineering/Sustainability Science and Biology majors. Recipient must have completed a minimum of 12 credits with a 3.0 GPA and demonstrate financial need. Awarded to a matriculated female student who is a single, widowed or divorced mother over 30 years of age. Recipient must have successfully completed English 089 with a “B” (3.0) or better average and a minimum of 9 credit hours. Applicants must write a 250-word essay explaining how her self-concept has changed since starting at Union County College. Awarded to a full- or part-time student majoring in Biology, who has a 3.5 GPA at the time of application, and who has completed 12 credits. Preference will be given to a student who demonstrates financial need. Awarded to a student who demonstrates financial need. Awarded to a full-time student working towards an Associate’s Degree, with a 3.0 (B) or better average. Preference will be given to a student majoring in Business. The scholarship will also be awarded on the basis of financial need. Student applicants will be considered for award in the order that follows: Awarded to students who are registered, or are planning to attend, a bona-fide apprentice program affiliated with the NJ Building & Construction Trades Council and recognized by the US Dept of Labor and are enrolled in the AAS-Technical Studies Program; or Students enrolling in the AAS-Technical Studies Program; or Students enrolling in any of the following programs: Nursing, Criminal Justice, Education, Early Childhood/ Elementary Education or Public Administration and plan on joining the labor movement in a local union. Awarded to a full or part-time student who plans on enrolling in the Engineering Program. The scholarship will be awarded based on financial need. Awarded to full or part-time student who has a minimum 2.0 GPA at the time of application. Applicants must self-report that they consider themselves either a book worm or a nerd, or both. Awarded to a current Institute for Intensive English student who has successfully completed one semester of ESL and is currently enrolled in levels 5 or 6. The student must have received a B or better in the ESL classes. Awarded to a full or part-time minority student who is an Engineering major (Chemistry or other science major as alternate if no qualified Engineering major). Recipient must have a “B+ average” (3.5 GPA) or better (“B average” (or 3.0 GPA) if no others qualify), have completed 15 credits and be a Union County resident. Preference will be given to a Plainfield High School graduate. The scholarship will be awarded on the basis of financial need. Awarded to one full-time student who has completed 30 credits toward an associate degree program. Recipient must have a min. 3.3 GPA at time of application and be a NJ high school graduate. Community service and campus leadership at UCC will be considered for selection of the recipient. Priority will be given to those students who demonstrate financial need. Awarded to a full or part-time student age 35 or older with a minimum 3.0 cumulative GPA at the time of application. The scholarship will be awarded on the basis of financial need. Awarded to full-time students who have completed between 12 and 24 credits, and maintained an overall minimum GPA of 3.2. Students selected for this award should express a desire to help their community, on or off campus. Recipients intend to complete their Associate degree and continue on to a four-year institution. Preference will be given to those who demonstrate financial need. High school graduates who are within the top 15% of their class and who meet other criteria are eligible. Applicants must first apply for all need-based federal and merit-based state financial aid grants. The NJ STARS will cover the remaining balance of tuition and qualified fees. 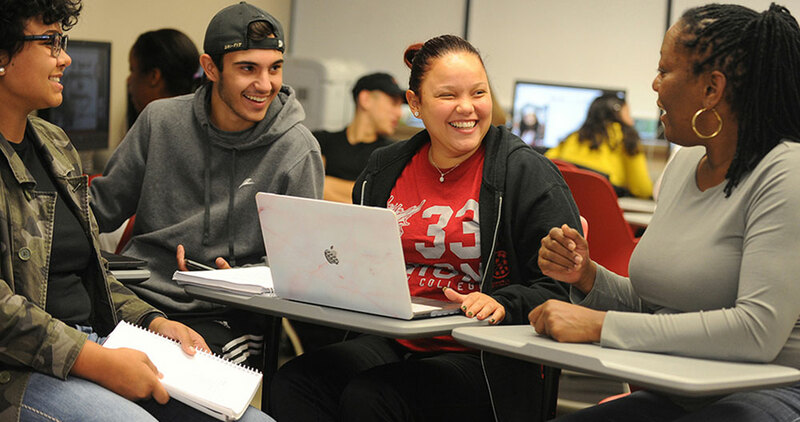 Qualified students will have up to two years from date of high school graduation to enroll and begin using the NJ STARS at Union County College. Awarded to a full or part-time student who resides in Union or Essex County. Recipient must be a second semester student in the Nursing Program and have a “B-” (2.7) or better average. The scholarship will be awarded on the basis of financial need. Awarded to first-time, full-time students who are on track to graduate. Recipients must be Psychology majors who have completed a minimum of 30 credits and earned a minimum overall GPA of 2.5. Preference will be given to students who demonstrate financial need. Awarded to full or part-time students who have a 3.0 GPA and demonstrate financial need. Scholarships will be awarded to students who reside within the Northfield Bank service area (NJ – Avenel, E. Brunswick, Linden, Milltown, Monroe Twp., Rahway, Union, Woodbridge or NY – Staten Island). Awarded to a full or part-time student who plans on enrolling in the Nursing Program. Preference will be given to a Plainfield resident or an entering student from Plainfield High School. Awarded to a full or part-time student pursuing a degree in the Nursing Program and who shows involvement in community activities. Priority will be given to a student who plans to attend a four-year institution. Recipient must have a 3.0 (B) average, have completed 24 credits and be a Union County resident. The scholarship will be awarded on the basis of financial need. Awarded to a full- or part-time student majoring in one of the following programs: Practical Nursing, Health Sciences or EMT. Student must have completed 12 credits and have a minimum 2.0 GPA. Preference will be given to students who demonstrate financial need. Awarded to a student entering the second year of the Physical Therapy Assistant Program. Must demonstrate a sense of maturity and responsibility and keen interest in the profession. Awarded to a first-time, full-time student who is entering the final year of their degree program and is on course to graduate. Recipient must have a minimum 3.0 GPA and be majoring in either Biology or Nursing. Awarded to a full or part-time student enrolled in the Business or Education Program, have completed a minimum of 12 credits with a minimum 3.0 GPA. Recipient must be a resident of Union County. The scholarship will be awarded on the basis of financial need. Awarded to a full-time student enrolled as a Liberal Arts major with a minimum 2.5 cumulative GPA and must have completed a minimum of 12 credits. The scholarship is awarded based upon academic achievement and financial need. Awarded to full or part-time students. Recipients or recipients’ parents must have the designation as one of the following from a U.S. Military Branch: Discharged Veteran, Military Reservist, Active Duty. Awarded to a full or part-time art student of very limited means. Recipient must maintain a “C average” (or 2.0) or better. Recipient must attend annual Scholarship Reception. The scholarship will be awarded on the basis of financial need. Awarded to a full- or part-time, first-generation college student who is in a Liberal Arts or Science program. Recipient must have a minimum 3.0 GPA at the time of application. Scholarship will be awarded to a student who demonstrates financial need. Preference will be given to a single mother. Awarded to a second year student majoring in Business or Engineering and who is preferably attending classes in the evening. Awarded to a full-time Hispanic student majoring in one of the STEM disciplines (Science, Technology, Engineering, Math). Recipient must have a minimum 2.5 GPA. Preference will be given to students who demonstrate financial need. Awarded to full-time student majoring in Criminal Justice. Recipient must have a minimum 2.75 GPA. The scholarship will be awarded based on financial need. Awarded to full-time students enrolled in one of the following STEM degree programs: Biology, Chemistry, Computer Engineering, Engineering or Mathematics. Recipients determined by STEM faculty committee based on grades. Awarded to a full or part-time student who resides in Union County. Recipient must be someone who values education and whose life will be changed by this scholarship. The scholarship will be awarded on the basis of financial need. Awarded to a student in the ASL or Deaf Studies Certificate or Interpreters for Deaf Degree Program. Awarded to a full or part-time student who is maintaining a “B” (3.0 GPA) or better average. The scholarship will be awarded on the basis of financial need. Awarded to a full or part-time student. Recipient must be a graduate of Governor Livingston High School, Berkeley Heights, NJ. Scholarship will be awarded on the basis of financial need. Awarded to a student majoring in Liberal Arts with an Education option. Priority will be given to a student who has completed ESL classes. Recipient must have a minimum 3.0 cumulative GPA and have completed at least 24 credits. Scholarship will be awarded on the basis of academic achievement and financial need. Recipient must document plans to become a teacher. Awarded to a female student majoring in one of the following: AS-Computer Science; Computer Information Systems & Technology; Engineering: Computer Science; Mathematics: Cybersecurity; AAS-Automotive Technology; Game Design Development. Awarded to a full or part-time student. Preference will be given to a student who is majoring in Liberal Arts/Early Childhood Education. The scholarship will be awarded to a student who demonstrates financial need. Awarded to full-time, female students majoring in Humanities. Recipient must have a minimum 3.0 GPA. Preference will be given to those students who demonstrate financial need. Awarded to a full or part-time student who has completed a minimum of 18 credits with a 3.0 GPA. The scholarship will be awarded on the basis of financial need. Awarded to a student in Allied Health who attends the Elizabeth Campus and who resides in Elizabeth, NJ or Union County. Awarded to a full-time student who is a parent. Student must have a minimum 3.0 GPA at the time of application. Preference will be given to a student who is a History major. Awarded to a full-time student who resides in Union County. Recipient must have a minimum GPA of 3.0 and enrolled in the Physical Sciences or Engineering Program. Awarded to a full-time student who has a minimum 3.0 GPA. The scholarship will be awarded to a student who demonstrates financial need. Awarded to a full-time student enrolled in the English or Communications program. Recipient must have a minimum 3.0 GPA and be a U.S. citizen. The scholarship will be awarded based on financial need. Preference will be given to a Union County resident. Preference will be given to a female student. The primary criteria are to provide assistance to individuals and their immediate families who were impacted by the events of September 11, 2001 and who do not have adequate relief from other sources. In the event there are no candidates who meet the primary criteria, the scholarship will be awarded to students pursuing a degree in one of the emergency serving professions. There are no academic criteria and the scholarship may be awarded to an entering full or part-time student. Awarded to six students- two on Plainfield Campus, two on Cranford Campus, two on Elizabeth campus. Recipients must have GPA of 3.0+, have completed a min. of 6 credits at UCC, must be registered for a min. of 3 credits on campus where they will serve as Ambassador. Required 6 hours/week of service, and must attend SGA events at respective campuses where they serve. Students must attend SGA training session and adhere to the Student Code of Conduct. Scholarship awards will be made following successful completion of service each semester. Awarded to a matriculated full or part-time student entering with a 2.0 average or better. Preference will be given to students at the School of Nursing and those with a record of community service. Special consideration will be given to a first generation college student. As part of the scholarship application, the recipient must write an essay expressing his/her career aspirations. Recipient must maintain a 2.5 or better GPA in order to continue receiving the scholarship. Recipient is encouraged to visit his/her former high school to serve as a role model for those who come after. The scholarship will be awarded on the basis of financial need. Awarded to a full or part-time student who has a minimum 3.0 GPA. Scholarship will be awarded to a student who demonstrates financial need. Awarded to a full or part-time matriculated student of Ukrainian descent with a minimum cumulative GPA of 3.0 and a minimum of 12 credits. The applicant must submit a 300-word essay (word processed) on some aspect of Ukrainian life (e.g., culture, history, economy, education, technology), past or present. The scholarship will be awarded on the basis of academic achievement, financial need and evaluation of the essay. Awarded to a full or part-time student who is enrolled in the Liberal Arts program as a Psychology or Music major. Recipient must have a minimum 3.5 GPA and have completed 40 credits. Awarded to a full or part-time student with a minimum 2.5 grade point average who is a resident of Union County. Preference will be given to a student in financial need. Awarded to a new or continuing full or part-time student with a “C” (2.0 GPA) or better average. Preference will be given to a Communications major. The scholarship will be awarded on the basis of financial need. Awarded to a full or part-time student majoring in Liberal Arts (Psychology option). Recipient must have a 3.0 or better GPA at the time of application for the scholarship and have completed a minimum of 30 credits. The scholarship will be awarded on the basis of academic achievement. Awarded to a full-time student with a GPA of 3.0 or better. The scholarship will be awarded on the basis of academic standing and financial need. Awarded to a female student majoring in the sciences who has successfully completed a minimum of three science courses and has a minimum GPA of 3.0. Awarded to a full-time student currently enrolled in one of the Social Science/Business/History majors. Recipient must have a minimum 3.0 GPA at the time of application and have completed a min. of 12 credits. Preference will be given to those who demonstrate financial need. Awarded to a full-time student having completed a minimum of 12 credits and earned at least a 3.0 cumulative GPA. The scholarship will be awarded based upon academic achievement and financial need. Recipient must write a letter documenting a keen desire to achieve higher education. Awarded to part-time students who demonstrate financial need. Awarded to a full or part-time student with preference given to a single parent. Recipient must have completed a minimum of 12 credits and have a minimum 3.0 GPA at the time of application for the scholarship. Awarded to a matriculated student with a minimum GPA of 2.5 who is involved in student clubs and activities. Awarded to a full or part-time student who has completed a minimum of 18 credits with a minimum 3.5 GPA. This scholarship is open to all Union County College Students. Awarded to a part-time student enrolled for 11 credits or less per semester who demonstrates financial need. Awarded to a student who has completed a minimum of 30 credits and has a minimum 3.0 GPA. The scholarship will be awarded on the basis of financial need. Preference will be given to students who are current or past student workers or student ambassadors at Union County College. Awarded to a full or part-time student enrolled in the Business, Arts or Sciences Program who has a “B” (3.0 GPA) or better grade point average. The scholarship will be awarded on the basis of financial need. Awarded to a full-time student who is an Irvington or Plainfield High School graduate. Recipient must have at least a “C average” (or 2.0 GPA) and have completed 24 credits. Awarded to a full or part-time student who is a resident of Union County. Recipient must be a Business major with a “B-” (2.7 GPA) or better average. The scholarship will be awarded on the basis of financial need. Awarded to a full or part-time African-American student. Student must have a minimum 2.5 cumulative GPA and have completed a minimum of 12 credits. The scholarship will be awarded on the basis of financial need. Awarded to a full or part-time student on the basis of financial need. A two-year scholarship for entering first-year students who rank in the top quarter of their high school graduating class or score 900 or more on their SAT or possess unusual intellectual or artistic talent and are residents of Union County. Students must achieve a minimum 3.0 GPA to renew their scholarships. Awarded to international students who demonstrate financial need. Awarded to part-time needy students. Awarded to a full- or part-time student who is an active or retired police officer of Union County, or a child of a law enforcement officer in Union County, NJ. The Scholarship will be awarded to a student who has a minimum 2.5 GPA and demonstrates financial need. Applicants must file for federal and state financial aid; the Freeholder Scholars Program will cover the difference between UCC tuition and fees and financial aid received. Awarded to a full-time student who is entering the second year and is an Architecture major with a 3.0 GPA. Recipient must be a U.S. citizen. Awarded to a full or part-time nursing student who is a resident of Union County. Preference will be given to students in LPN to RN Completion Program. Recipient must have completed 12 credits and have a “B” (3.0 GPA) or better grade point average. The scholarship will be awarded on the basis of financial need. Awarded to a full or part-time student who is a Linden High School graduate and resides in Linden or Union. The scholarship will be awarded on the basis of financial need. Awarded to a full or part-time Business major who has completed 12 credits with a 2.8 GPA and who demonstrates both active involvement in community activities and financial need. Preference will be given to a student enrolled in Food Industry Marketing and Management courses. Awarded to a full or part-time student with a minimum 3.0 cumulative GPA at the time of application. The scholarship will be awarded on the basis of financial need. Awarded to a full or part-time student majoring in Social Services. Preference will be given to a student in financial need. Awarded to a full-time student who is a Linden High School graduate. Must have a minimum 2.0 GPA and have completed 12 credits. Awarded based on academic achievement and financial need. Awarded to a full-time student who is a Linden High School graduate. Recipient must have a minimum cumulative GPA of 2.0 and have completed at least 12 credits. This scholarship is awarded based upon academic achievement and financial need. Awarded to a student in the Paramedic program. Recipient must have a minimum 3.0 GPA on pre-requisite general education course work, and a 3.0 or better in the fall semester of the Paramedic program. The scholarship will be awarded on the basis of academic achievement and exceptional EMS skills. Awarded to a full or part-time student who is a business major. Recipient must have completed 24 credits with a minimum GPA of 3.0. Scholarship will be awarded on the basis of academic ability and financial need. Awarded to students who are Westfield residents and demonstrate financial need. Awarded to a full or part-time student and a certified EMT. Each recipient must commit to one (1) duty period each week for a min. of 20 (and up to 26) weeks of volunteer service at the Westfield Rescue Squad, as defined by Westfield Rescue Squad policy. Commitment may be renewed. The scholarship may be applied to any field of study or degree program in return for this commitment. Awarded to students who are enrolled in the Paramedic program. Recipient must commit to one (1) duty period each week for a min. of 20 (and up to 26) weeks of volunteer service at the Westfield Rescue Squad, as defined by Westfield Rescue Squad policy. Commitment may be renewed. Awarded to a full-time student enrolled in the Allied Health field, who has completed a minimum of 12 credits with a 3.0 GPA and demonstrates financial need. Awarded to a full-time student who has a minimum 3.5 GPA and has completed 30 credits. The scholarships will be awarded to a student who demonstrates financial need. This prize is awarded at Commencement in May to a student who is a graduating Union County College Foundation scholar with the highest GPA and who has made contributions to the life of the College. Awarded to a full-time matriculated female student in the Biology, Chemistry or Pre-Med program who has completed her first year and is a resident of Union County. Recipient must have a minimum 2.0 GPA. Awarded to a full- or part-time student who is an Engineering or Science major. Recipient must have a minimum “B average” (or 3.0 GPA). Recipient must be planning to transfer to a four-year institution to pursue a bachelor’s degree. The scholarship will be awarded on the basis of financial need. Awarded to a full or part-time student who has completed 12 credits and has a “B” (3.0 GPA) or better average. Recipient must be a first-generation female student either born in a foreign country or whose parents were born in a foreign country. The scholarship will be awarded on the basis of financial need. Awarded to a part-time “adult” student with a “B average” (3.0 GPA) or better who is matriculating towards a degree and who demonstrates financial need not otherwise satisfied (or qualified) through federal or state aid programs. Awarded to a full- or part-time student who has a minimum 3.0 GPA at time of award, and has completed a minimum of 12 credits. Awarded to a full-time female student majoring in Nursing. Priority is given to a student who plans to transfer to a four-year institution. A minimum of 12 credits must be completed with a minimum GPA of 3.0. The scholarship will be awarded based upon academic achievement and financial need. Two scholarships will be awarded annually to full or part-time students with a minimum cumulative GPA of 3.0. The students must have completed 12 credits and must be Union County residents. One scholarship is to be awarded to a student majoring in Education (Science or Math) and the second is to be awarded to a student in the Paramedic program. The scholarship is awarded based on financial need. Monetary award for future tuition is awarded at Awards Night in May to a graduating student majoring in liberal arts, communications, or women’s studies who plans to pursue a bachelor’s degree the following fall. The recipient is selected by votes of humanities department faculty members based on applications of students invited to apply. Awarded to a full or part-time student with a 2.0 GPA or better. Preference will be given to a disabled student.